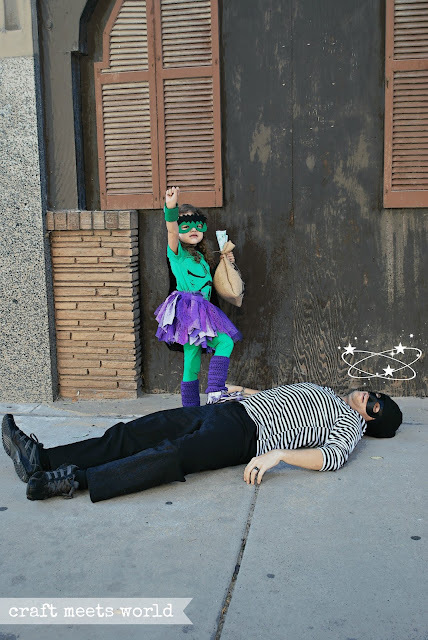 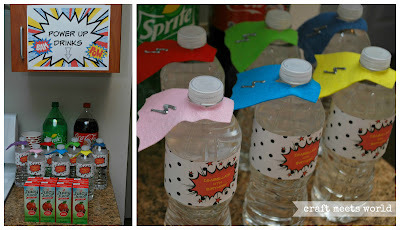 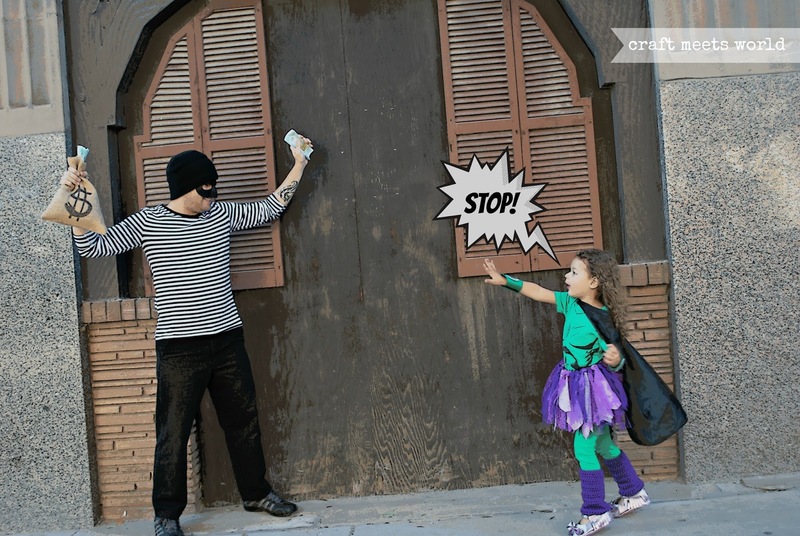 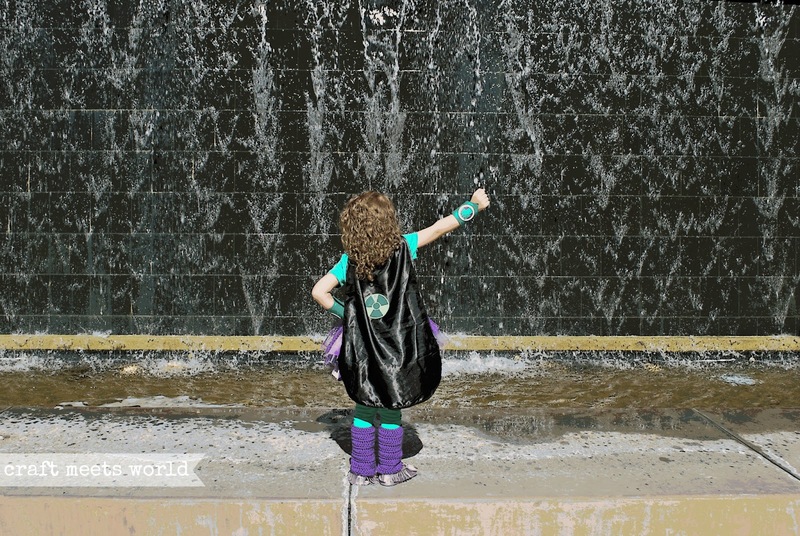 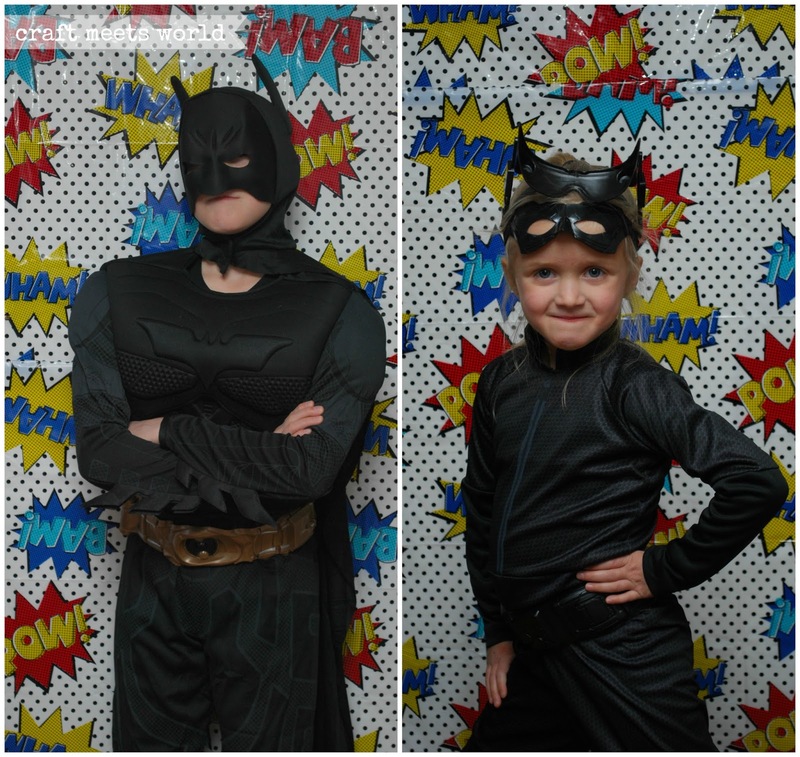 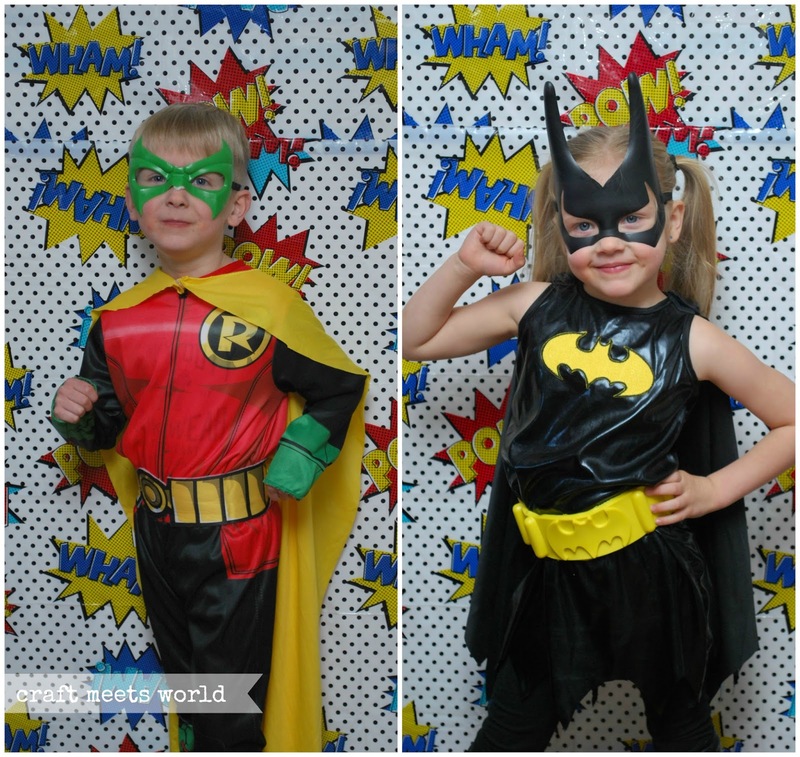 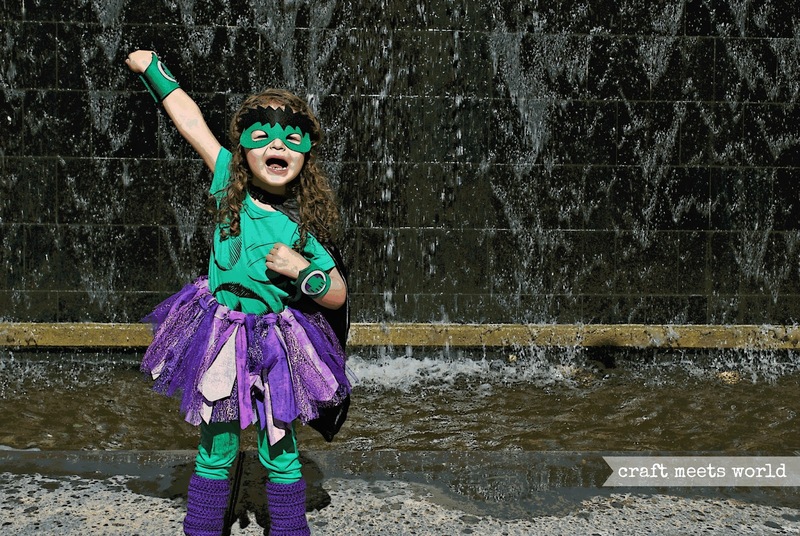 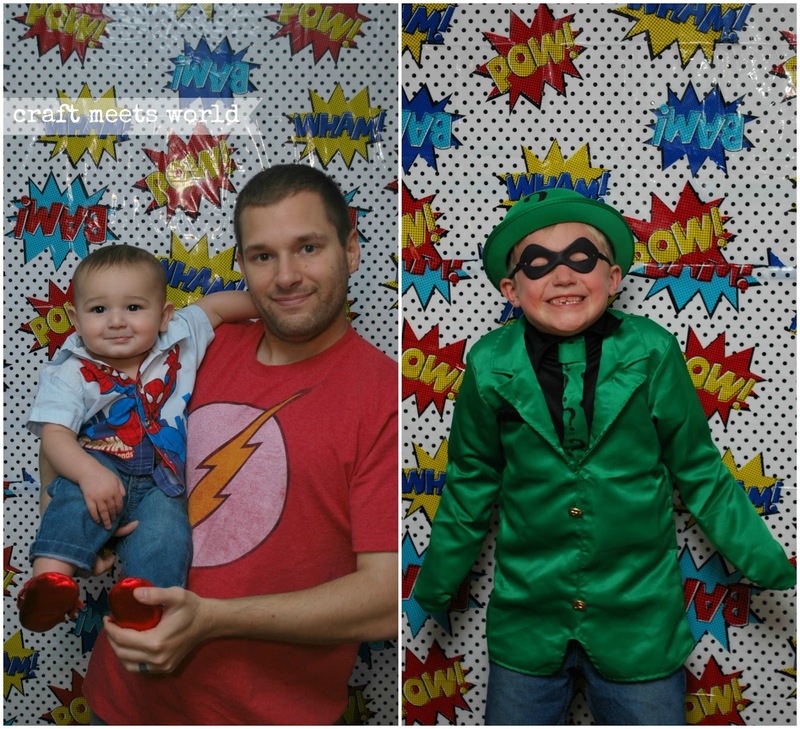 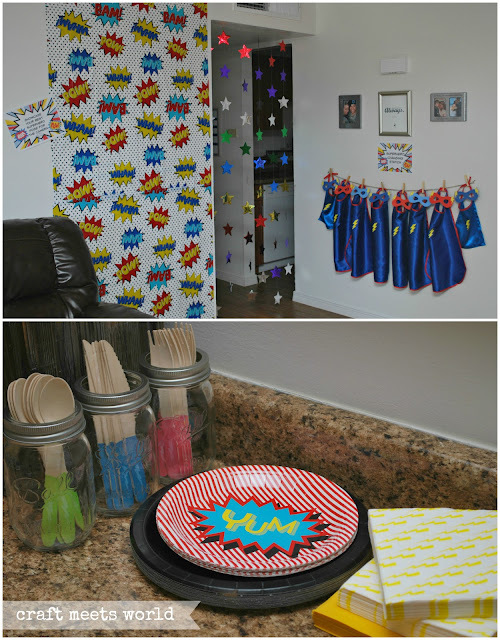 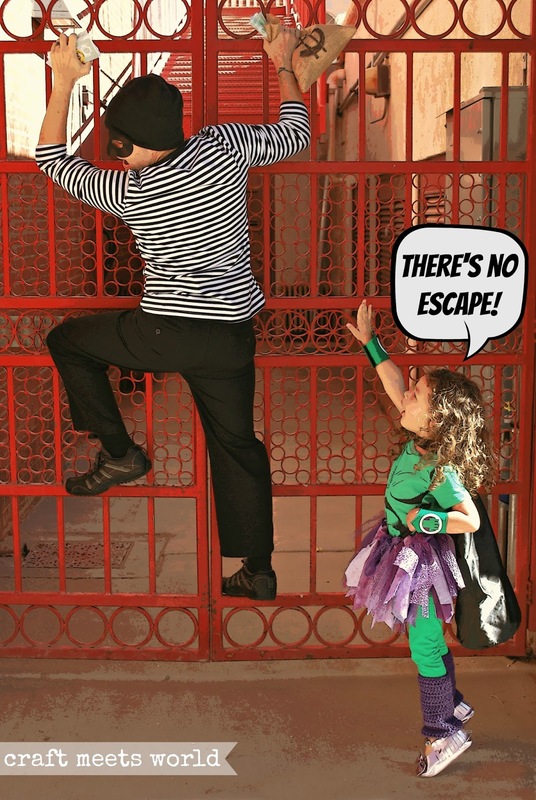 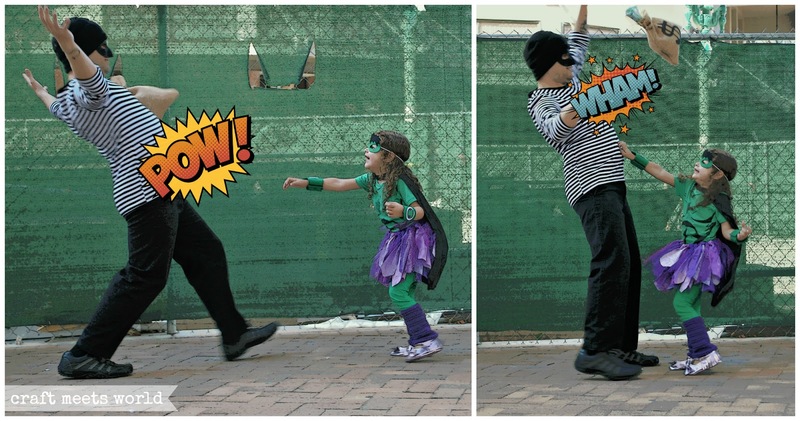 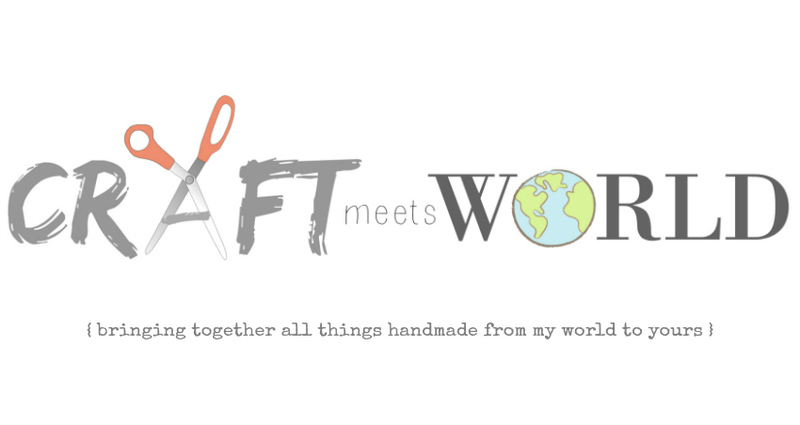 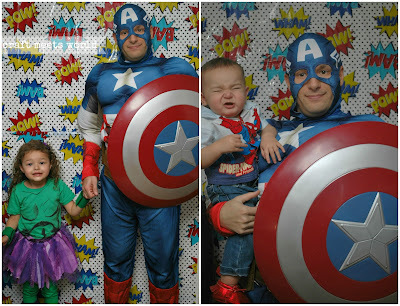 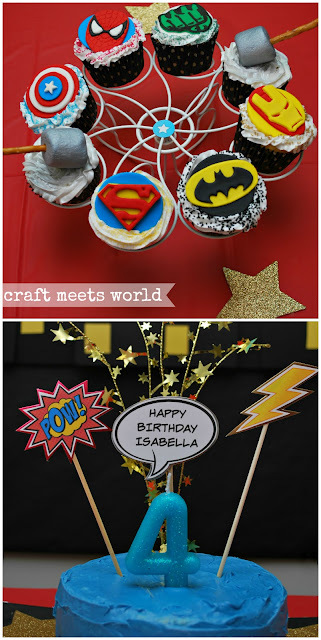 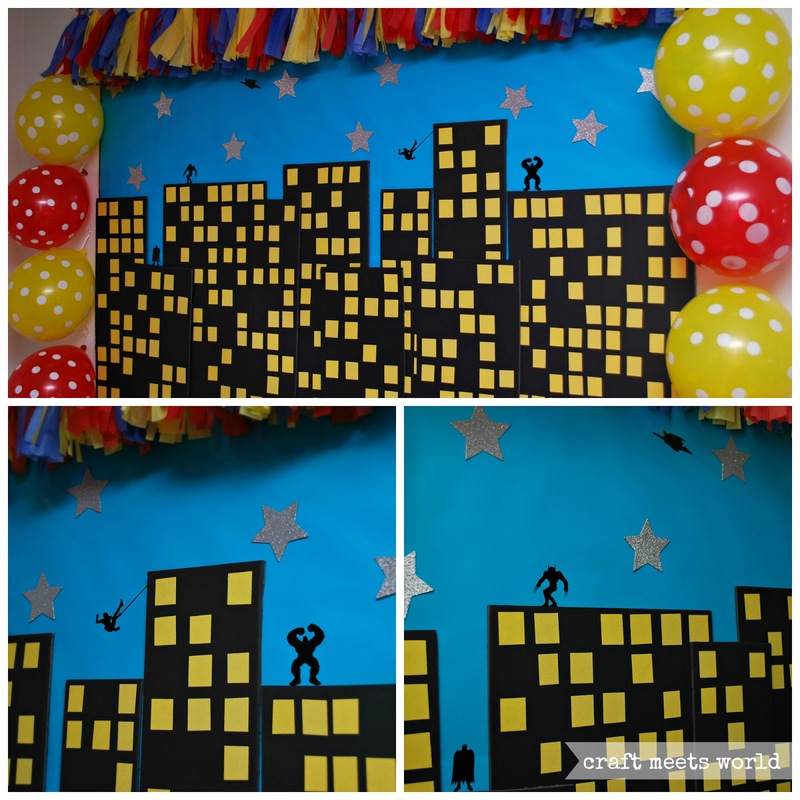 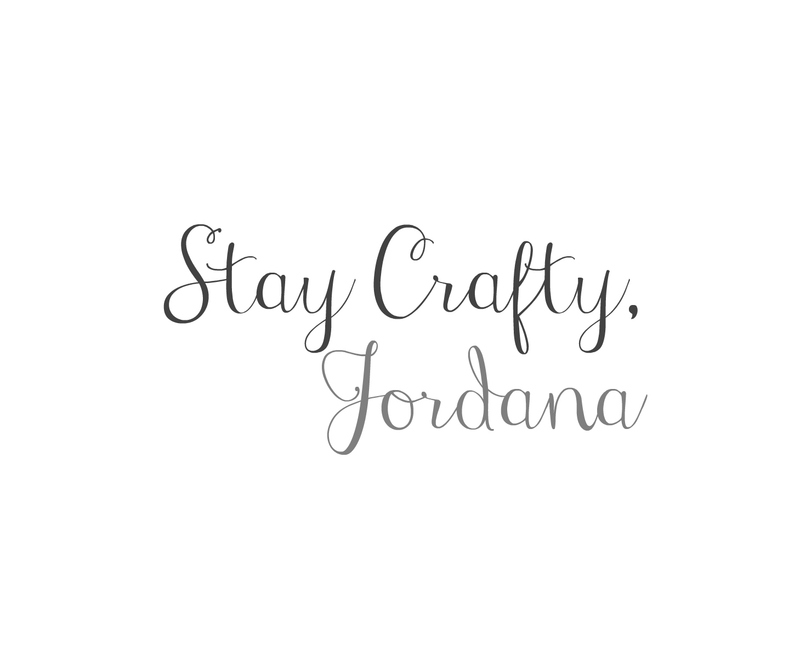 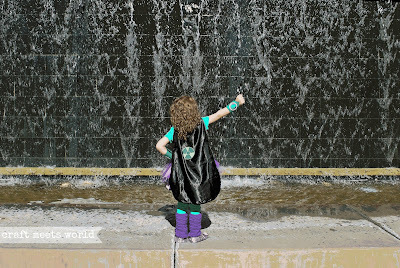 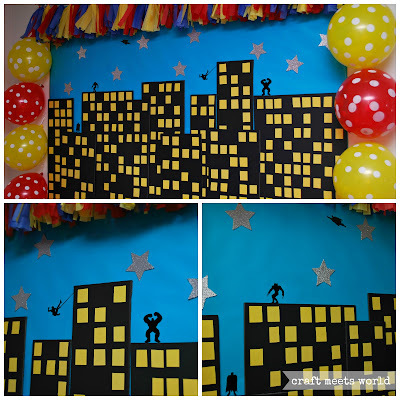 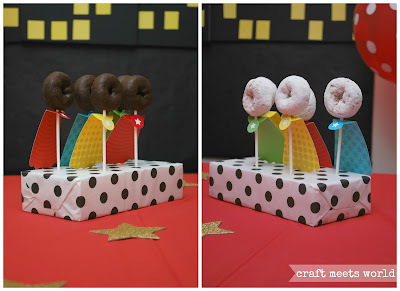 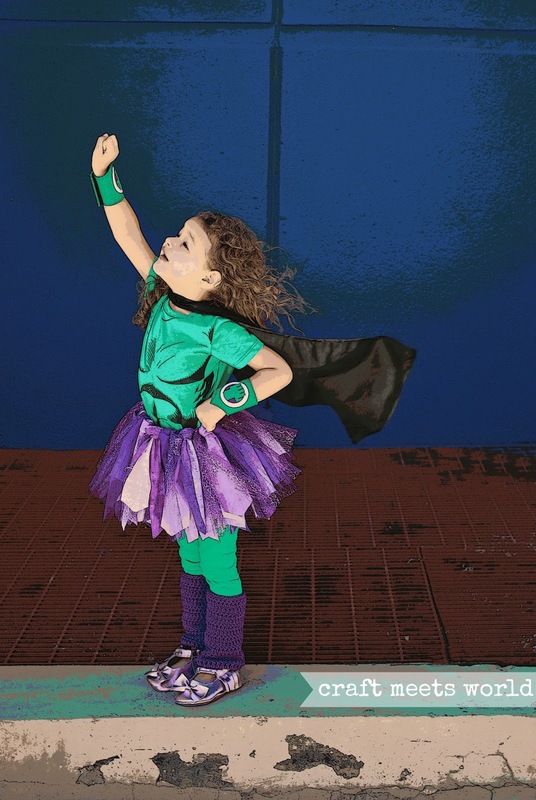 Craft Meets World: Superhero Party! This party was Rosie's most recent one. She just turned 4 this past November. 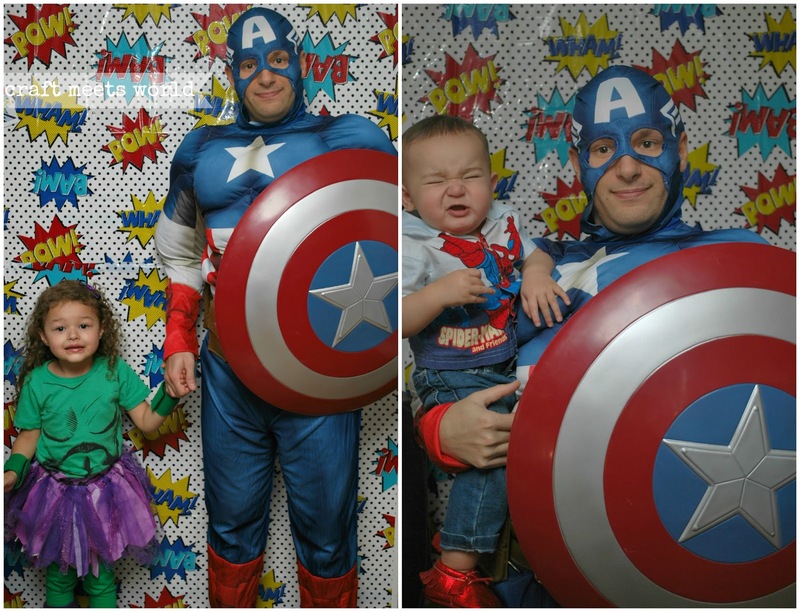 Daddy was actually home for this party since he returned from his deployment only a few weeks before. 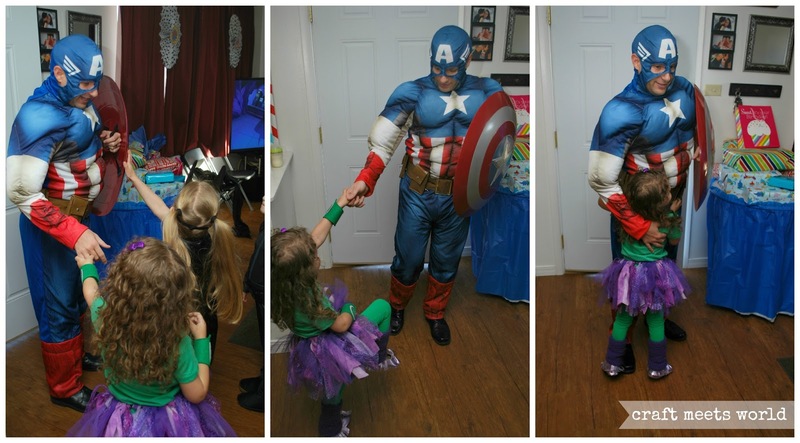 We hired "professionals" to come dressed as Captain America and Batman but an hour before the party he texted me saying that they can't come. 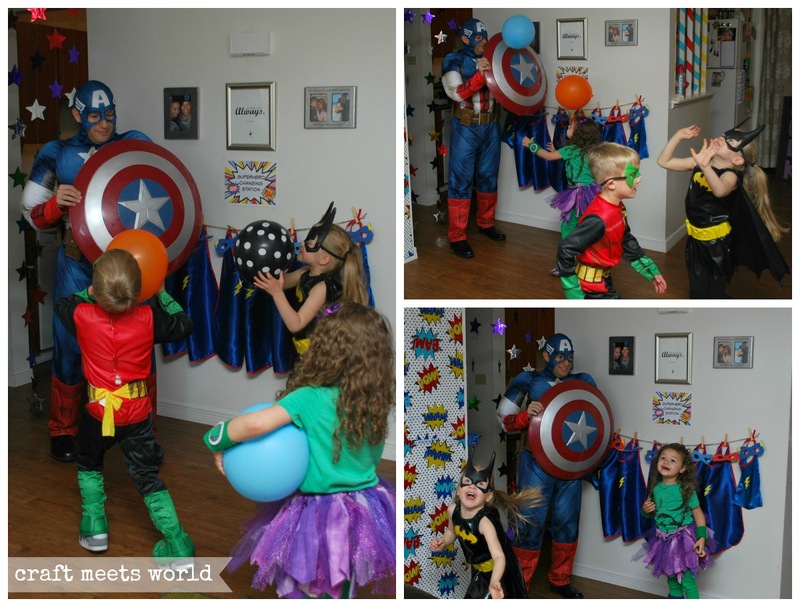 I was beyond livid since I had told Rose for weeks that Captain America and Batman were both coming to her party and she was so excited about meeting them. 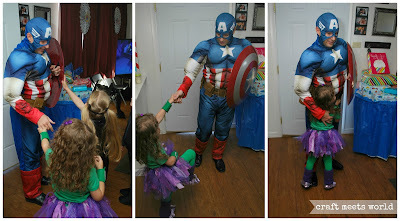 We had to come up with a new plan so my husband rushed over to Party City to buy an adult sized Captain America costume that he would wear himself. Here are the pics from her birthday photo shoot. 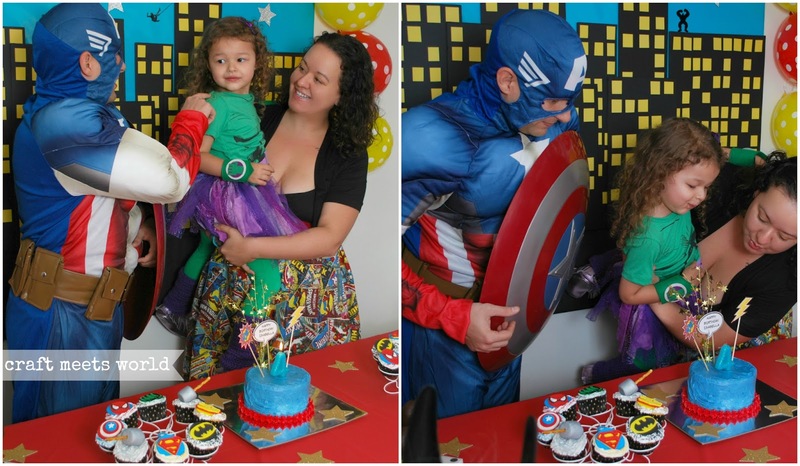 I edited them in a way that they'd look cartoon-y and comic book-like since her party had a lot of comic book themed decorations on top of all the superhero stuff. 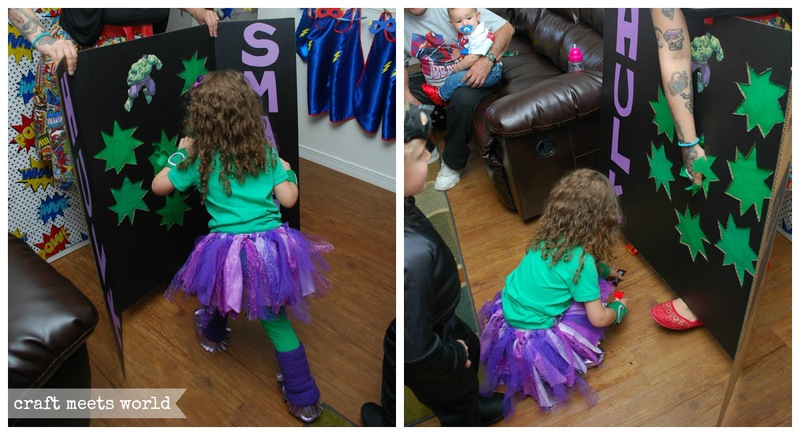 She told me she wanted to dress up as The Hulk so I made her a costume. 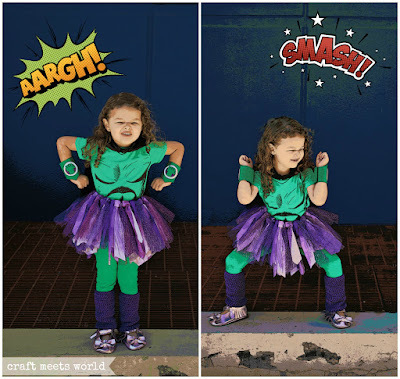 The shirt was from Amazon, my friend at Ittie Bittie Moccs made her shoes, and I made everything else. 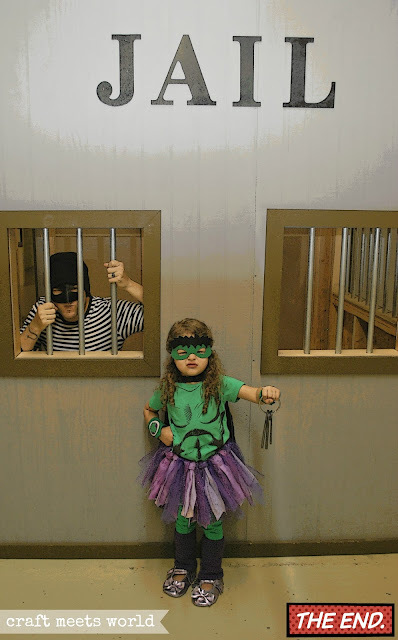 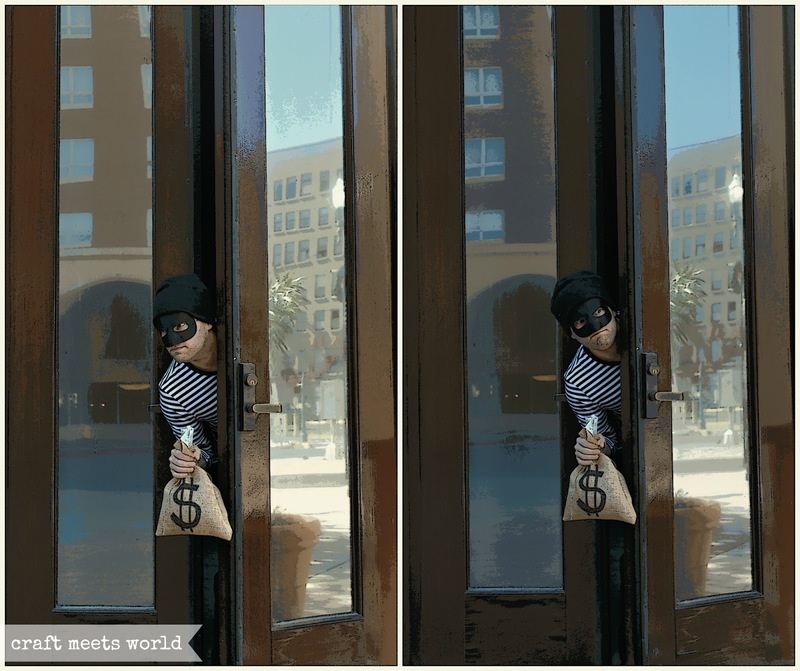 Daddy was the bank robber :) Click on the photo to make it larger.